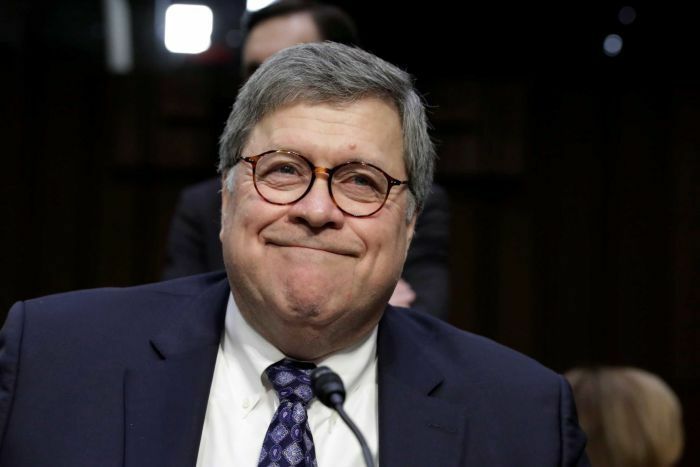 US Attorney-General William Barr has sparred with politicians over whether spying occurred on President Donald Trump’s 2016 presidential campaign, and said a redacted version of special counsel Robert Mueller’s report on Russian interference will be released soon. During questioning by senators on Wednesday, Mr Barr said “spying” on Mr Trump’s campaign was carried out by US intelligence agencies, but he later recharacterised his concerns as focused on “unauthorised surveillance”. Initially using language echoing Mr Trump’s attempts to discredit Mr Mueller’s probe, Mr Barr pulled back under questioning by Democratic senator Brian Schatz, who said the use of the term “spying” was “unnecessarily inflammatory”. “I want to make sure there was no unauthorised surveillance,” Mr Barr, a Trump appointee, said. Mr Barr said the Justice Department would release a redacted version of the Mueller report next week. “I’m landing the plane right now,” he told the Senate Appropriations Committee hearing. In March, Mr Barr wrote a letter to the committee summarising Mr Mueller’s findings, in which he said the investigation did not establish that members of Mr Trump’s election campaign had conspired with Russia. 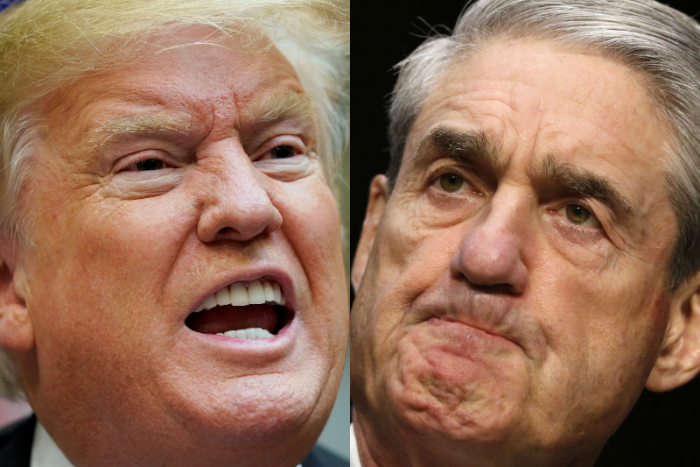 He also said Mr Mueller had presented evidence “on both sides” about whether Mr Trump obstructed justice, but he did not draw a conclusion one way or the other. The Mueller report was given to Mr Barr in March and has remained confidential while he reviews it and writes his own account communicating the findings to Congress and the American public. Mr Barr also has to decide if the release of any sort of report is in the public interest. Mr Barr discussed the report after a blistering assault by Mr Trump on the FBI investigation that was taken over by Mr Mueller, which the President called an “attempted coup”. “It was started illegally,” Mr Trump told reporters at the White House, without citing any evidence. Mr Barr told the committee that he would review all the intelligence activities directed at Mr Trump’s 2016 campaign. Most of this has been done already, he said, adding he would pull it all together to see if there may be “remaining questions to be addressed”. He was also asked whether he had any evidence of wrongdoing in the course of the federal probe into whether the Trump campaign had worked with Moscow to sway the election. “I have no specific evidence that I would cite right now, I do have some questions about it,” Mr Barr replied.